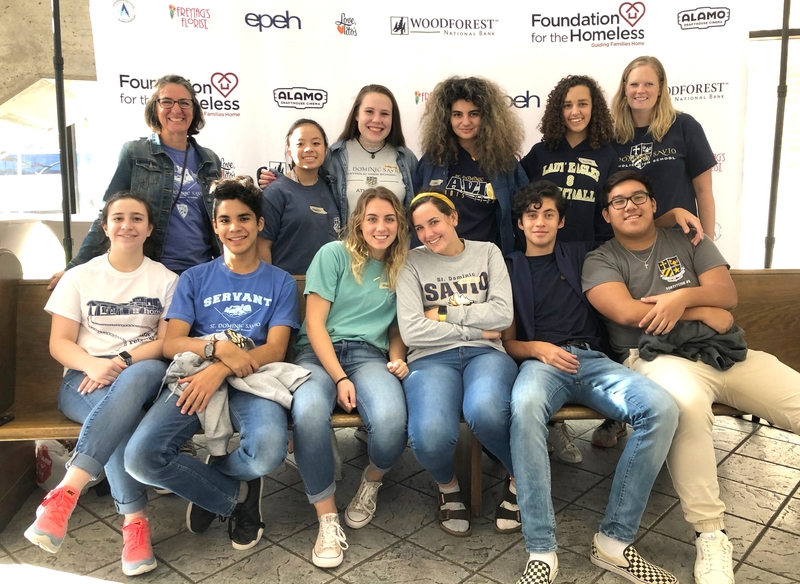 On Thursday, November 8th, Savio hosted their second blood drive with We Are Blood. 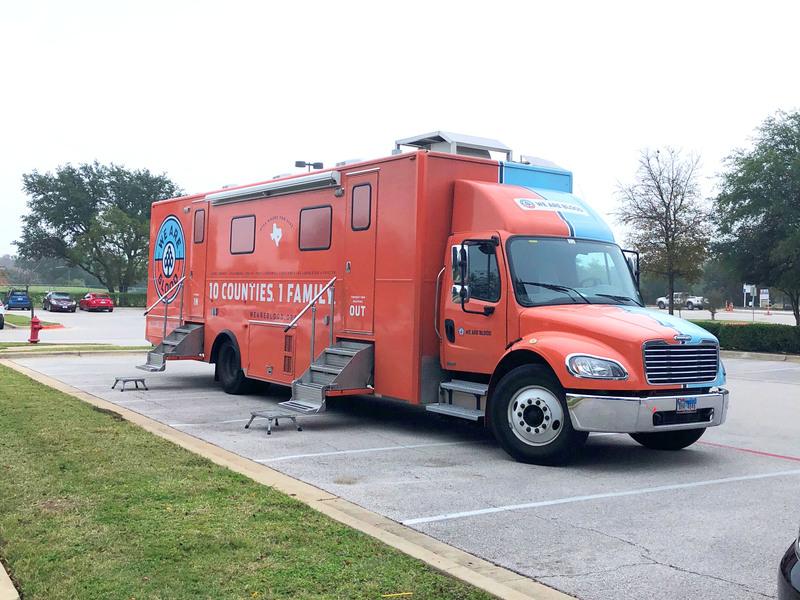 We Are Blood is a non-profit organization that gives donated blood to many hospitals around Austin. Christian Outreach leadership member, Senior Catherine Burkhart was in charge of making the blood drive happen and it was very successful! There were 32 potential donors and Savio was able to donate 28 pints of blood to help We Are Blood. Catherine is hoping to plan another blood drive in the second semester in April and to host the blood drive in the gym to encourage more people to donate and help We Are Blood collect more pints! St. Dominic Savio Catholic High School is located in northwest Austin, Texas, in an active and thriving community. Savio is a college preparatory school, to prepare young men and women to become faith-filled, visionary and inspirational leaders in service to the Church and the world. St. Dominic Savio offers a faith experience that encourages students to reach their full potential as caring, conscientious, and moral servant leaders. The vision is "Forming Servant Leaders in the Image of Christ." For any questions, please contact Cristina Almanza, the Director of Communications by email: calmanza@saviochs.org. As a kickoff to National Catholic Schools Week, please join the St. Dominic Savio Catholic School community at the Diocese of Austin 11th Annual Saints & Scholars: Celebrating Catholic Schools Awards Dinner on Saturday, January 19, 2019, at the AT&T Executive Education and Conference Center, featuring Curtis Martin, Founder and CEO of Fellowship of Catholic University Students (FOCUS). The Saints & Scholars: Celebrating Catholic Schools Awards Dinner recognizes the "unsung" heroes at each of the 21 Catholic schools in the Diocese of Austin. Fr. 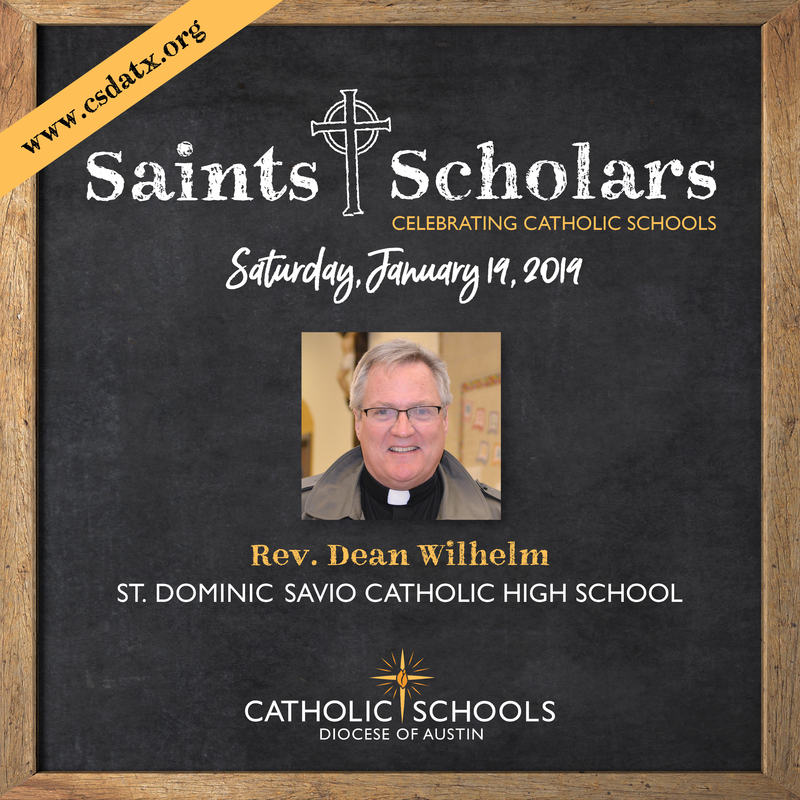 Dean Wilhelm, Pastor of St. William Catholic Church, is our honoree for the Catholic Education Service Award. Fr. Dean eagerly supports the faith life of our school through his vocation as a priest by hearing many student confessions and celebrating Mass - even the 7:00 AM ones in our Chapel! However, it is his over-and-above commitment to the Catholic high school education that makes him unique. By experiencing the life of the school, he has endeared himself to all. Viewed as a cheerleader for Savio, he can be seen on the sideline of football games, in the bleachers at volleyball and basketball games and taking front row at musicals and plays. Fr. Dean mentors students in their education and life plans. He has supported students in service projects and vocation awareness decisions. Finally, it is Fr. Dean’s heart for people, that has enriched the lives of students, faculty, and staff. He serves as a witness to our faith, and a model of service to our school. Learn more about the Celebrating Catholic Schools Dinner! 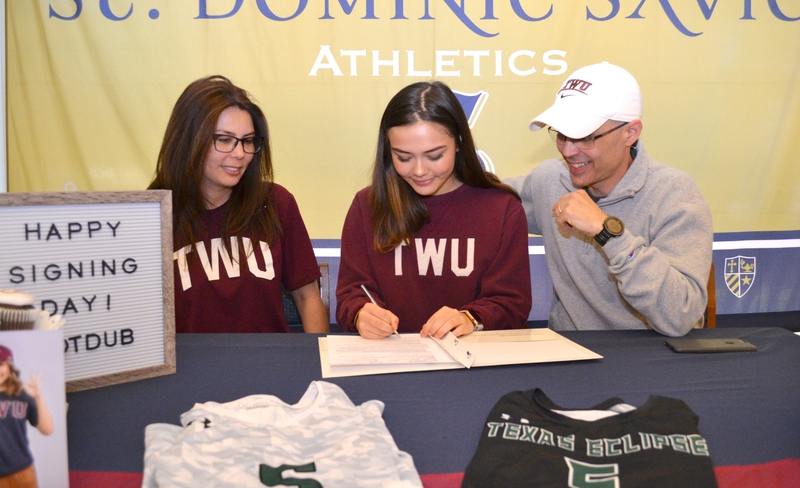 On Friday, November 16, Savio Senior Brooke Price signed to play volleyball next school year with Texas Women's University. Many family members and friends gathered to witness this signing in the library. The Savio community is extremely proud of all of the accomplishments Brooke has contributed through her talent of playing volleyball. We wish Brooke the very best in the years to come with Texas Women's University. 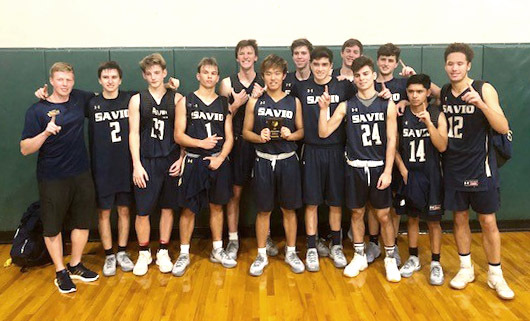 On November 15, the Savio Eagles Varsity Basketball Team won first place and were undefeated in the Brentwood Christian Basketball Tournament, after four games and a final score of 73 to 54. Congratulations Eagles! On Saturday, November 10, the Savio Iron Eagles Robotics Team went 5 for 5 in their first league tournament of the season and are currently the #1 ranked team out of 50 teams in the Austin Metro League. 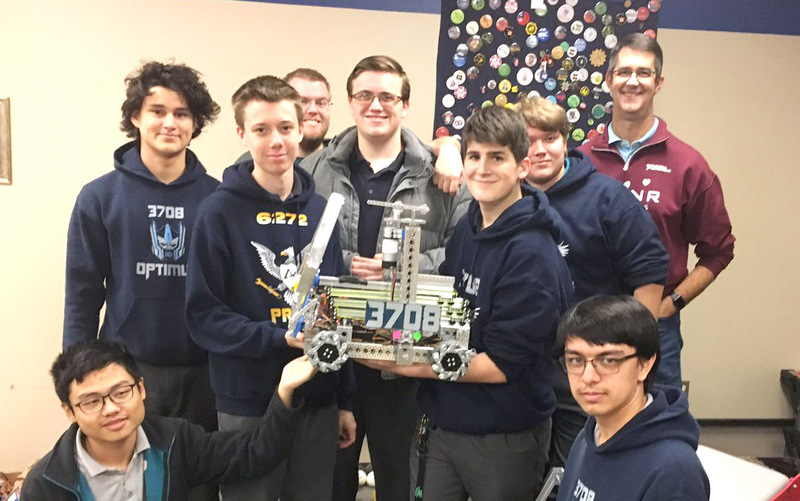 Since it is early in the season, the robotics team will need to continuously improve to stay as the number one winning team. The team is improving the robot and receiving more practice as they prepare for the next league meet on December 8th. St. Dominic Savio is hosting a Robotics Meet in the Gym, on Saturday, January 12th. Thank you for your support and we invite you to come out and watch the upcoming meets! 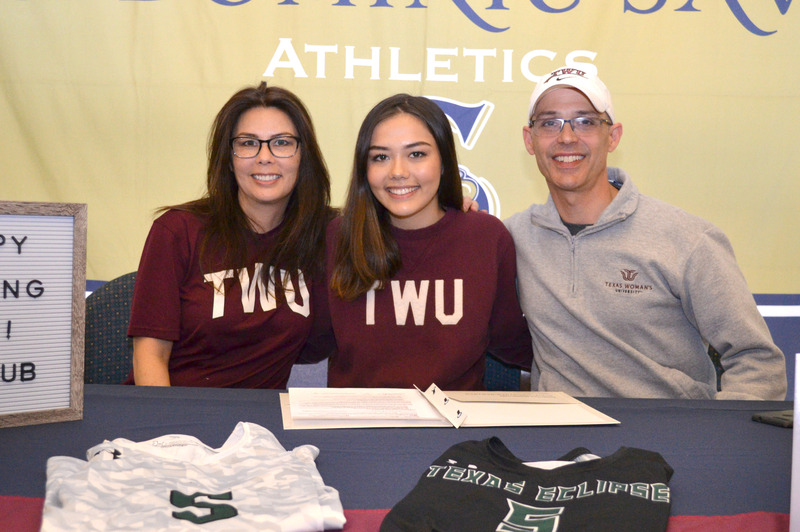 This week, Savio Senior Hannah Espinosa, signed to swim next school year with the University of Mary Marauders in Bismark, North Dakota. Several family and friends gathered to witness this spectacular event in the library. The Savio community is extremely proud of all of the accomplishments Hannah has contributed through her talent of swimming. We wish her the very best in the years to come with the University of Mary. St. Dominic Savio Catholic High School is located in northwest Austin, Texas, in an active and thriving community. Savio is a college preparatory school, to prepare young men and women to become faith-filled, visionary and inspirational leaders in service to the Church and the world. 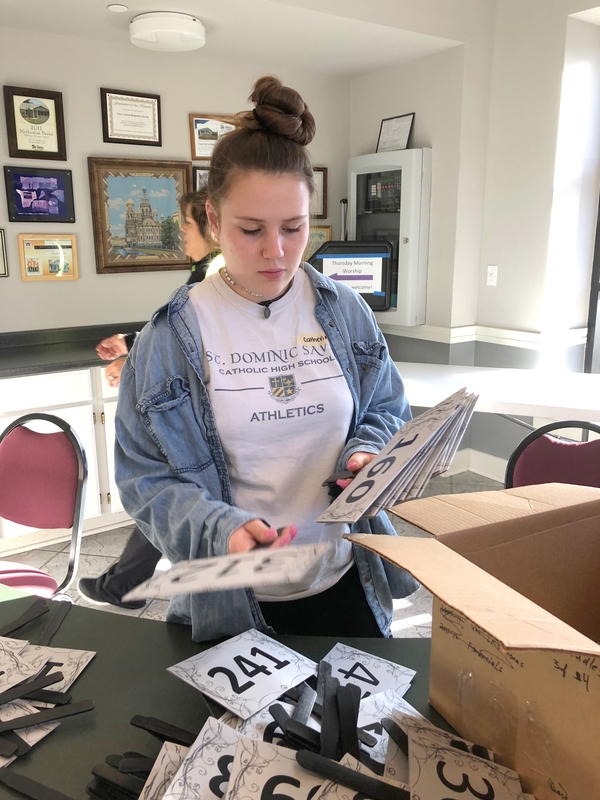 St. Dominic Savio offers a faith experience that encourages students to reach their full potential as caring, conscientious, and moral servant leaders. The vision is "Forming Servant Leaders in the Image of Christ." For any questions, please contact the Director of Communications, Cristina Almanza by email: calmanza@saviochs.org. This fall, the Savio Computer Science team competed in two tournaments, taking the top prize in both events. Both tournaments required teams of up to three students to solve 8-12 problems in 2-3 hours. The teams were awarded points based on the number of problems-solved within the time taken to solve them, being the tiebreaker. The Battle of the Brains at the University of Texas in Dallas is one of the bigger contests of the year, hosting almost 150 teams from around the state. The problems students need to solve are among the toughest offered. 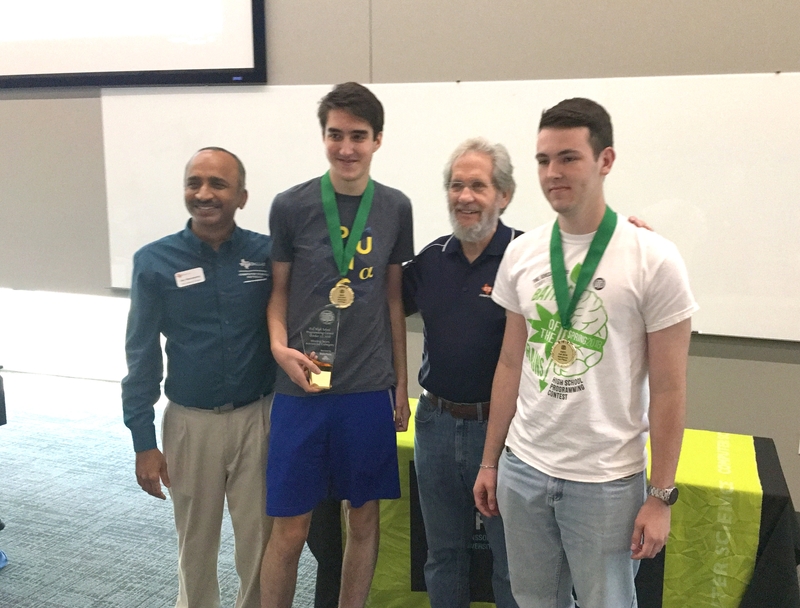 The Savio advanced computer science team, with two students, Brandon Boettcher, and Jonathan Shoemaker, were one of only two teams to solve all the problems, but easily won the tiebreaker by solving their last problem an hour ahead of the next team. The computer science novice team of Thomas Ducote, Tony Le, and Jessica Shoemaker competed in their first tournament but did not place. Earlier in the fall, the Frisco First Bytes tournament hosted 120 teams, mostly from the Dallas/Ft Worth area. Jonathan Shoemaker represented the advanced team and won the top prize, while Jessica Shoemaker competed in the beginner's division and took 5th place. With our advanced team consisting of only seniors, we are looking to train more students to continue our winning tradition in years to come. It will take hard work and dedication, but the path is clear to create another top performing team. If you are interested in joining a computer science team at Savio, please email Dr. Shoemaker, drshoema@alum.mit.edu to receive a roadmap of how to prepare to join our efforts. 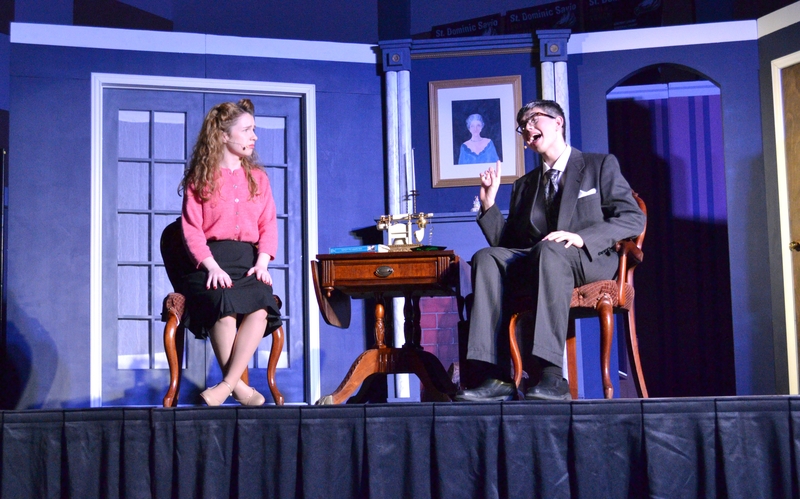 The Savio Theatre department presented Harvey by American playwright, Mary Chase last Friday, November 9 and Saturday, November 10, at 7:00 PM in the Savio Gym. Harvey is a 1944 play, by American playwright Mary Chase. Chase received the Pulitzer Prize for the play in 1945. The play has been adapted for film and television, most notably in a 1950 film starring actor, James Stewart. 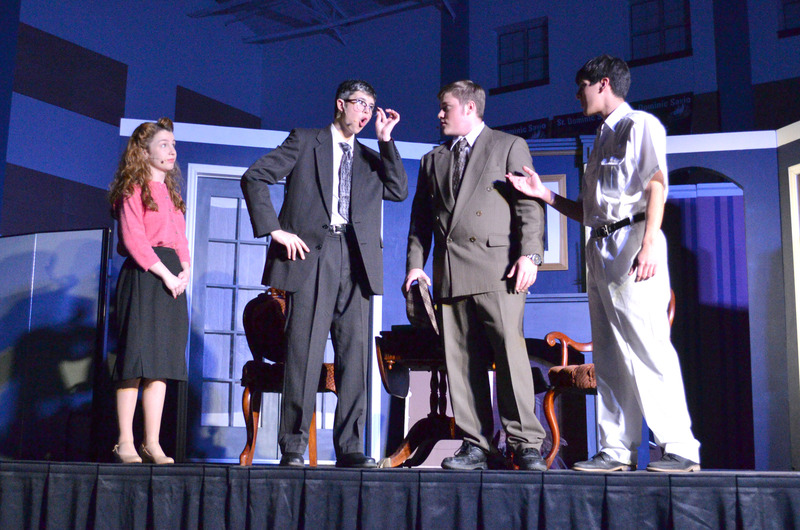 This year there were 27 students that participated as cast and crew in the Fall play. The cast brought the play to life with their talents in this whimsical show about individuality and kindness. 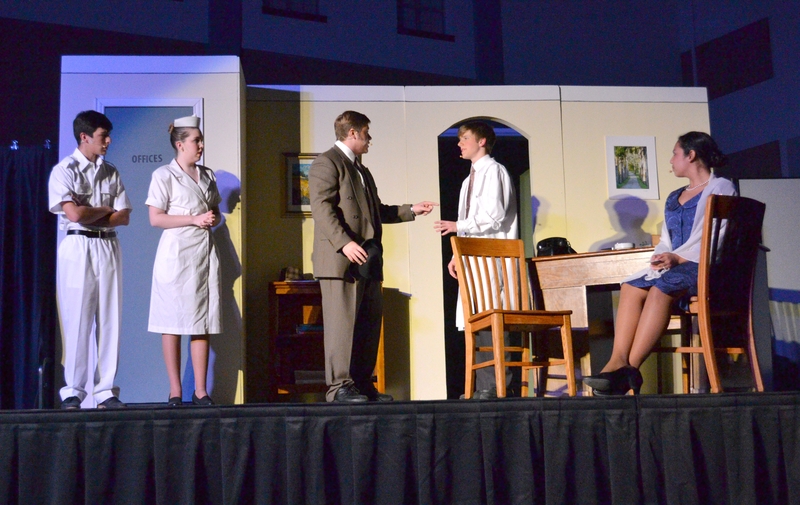 The show was well attended at both performances, and the audience enjoyed the show, often laughing out loud at the humorous delivery of the script! Gary Mink for painting, lifting hauling, and building the set. Mr. Doug Schnider and Michelle Pish for sharing the band hall. Celeste Robbins for the use of the Art Suite and for drawing the portraits for the show. Coach Clark and Coach Florez for sharing the gym. David McCauslin for the idea to use two stages. The parents of all the cast and crew for their help and support of their students and of the theater program. Hannah Weatherby's mom for the use of the old-fashioned telephone. Dr. Enrique Garcia for his support of the theater program. 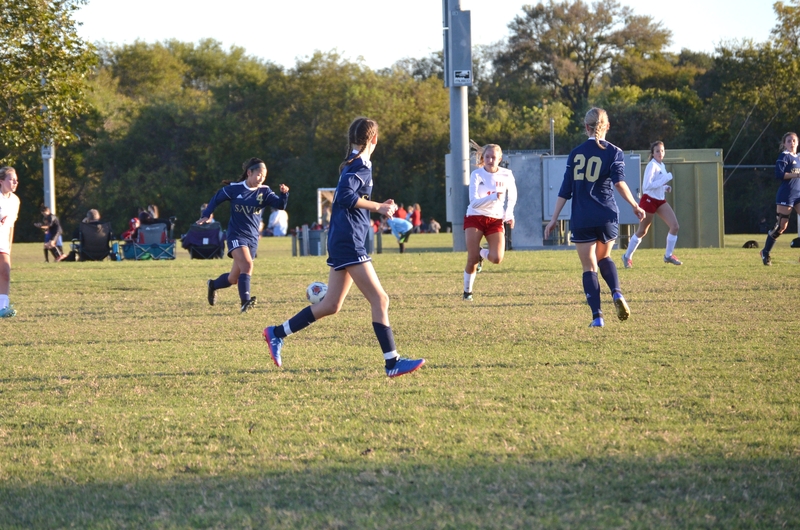 The Savio boys and girls soccer teams began their season with impressive victories! 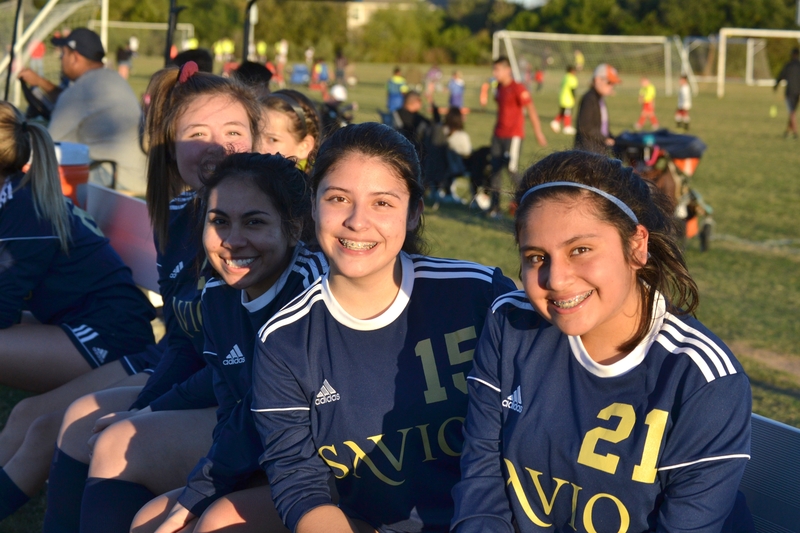 Last Friday against Hyde Park, the Savio boys had a tough act to follow, with the girls notching a powerful 6-0 victory to start the evening. On the boy's team, Brendan Mazzurana opened the scoring by putting in a long shot over the keeper, from a Nathan French pass. Savio's confidence increased, and two second-half goals by Luciano Barrera put the game away (the first assisted by Sebastian Martinez and the second by Tony Le). Goalies, Seth Arizola, and Khoa Tran, and the Savio defense held the Panthers scoreless, as the Savio boys won 3-0 to start the season. 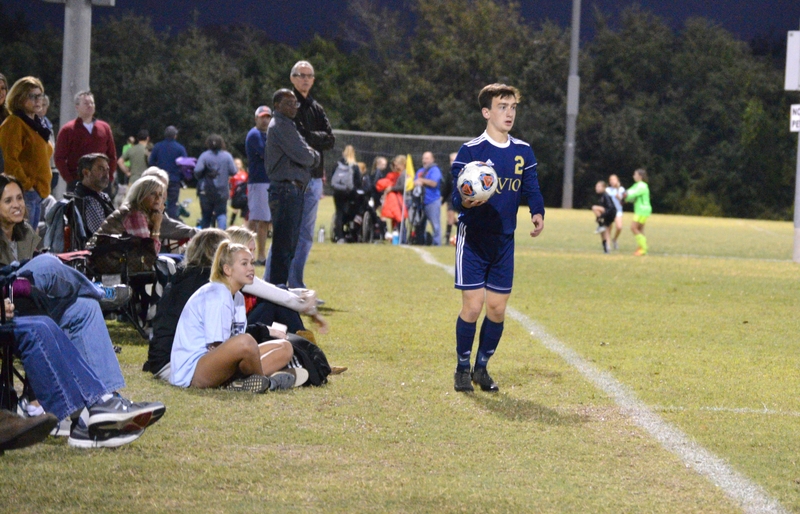 Tuesday, after the girls beat last year's state finalist San Antonio Christian 2-0, the Savio boys followed but fell behind early on a long shot by the Lions. A long pass by Brendan Mazzurana to Nathan French led to a breakaway and a desperation foul by the Lion's Keeper, just outside the box, which led to a direct kick from Brendan Mazzurana. 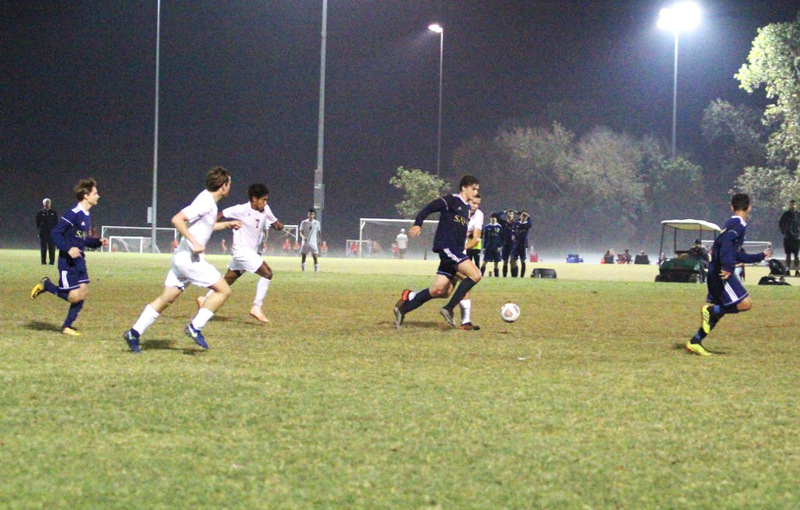 The Savio boys then proceeded to wear the Lions out with crisp passing, and with three minutes left in the half with Brendan's strong pass to Luciano Barrera leading to the second Savio goal. In the second half, Sebastian Martinez set up Ricardo Santos for the third goal, and senior Chris Gonzales's pass to Brendan Mazzurana led to the final goal, as the Savio boys won 4-2. Come out, and support the Savio soccer teams on Tuesday, November 13, as they take on Regents at the Town and Country fields. The girl's team will play at 5:00 pm and the boys at 7:00 pm. Go Eagles! 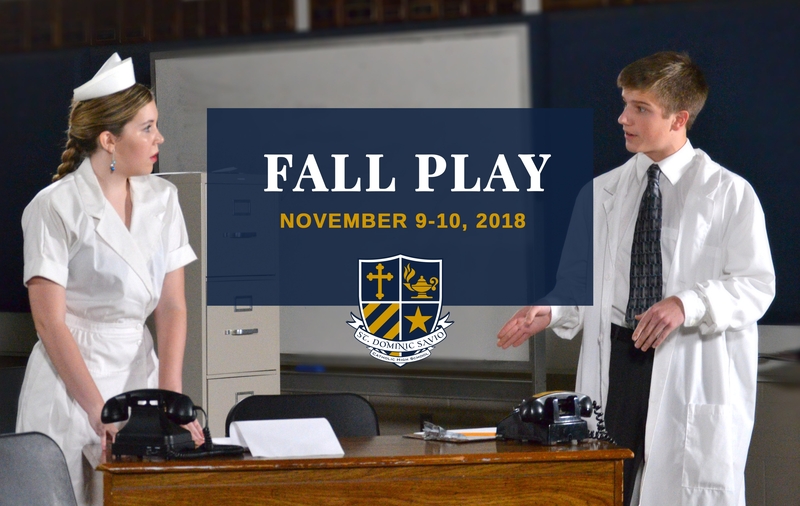 The Savio Theater Department will perform Harvey, by American playwright, Mary Chase this Friday, November 9 and Saturday, November 10, at 7:00 PM in the Savio Gym. Admission is a free will donation. Come and see this delightful show and support the Savio Fine Arts department! On Thursday, November 1, the student leadership ministry, Christian Outreach, committed to a day of service. A total of 10 students and two faculty members met at the Savio parking lot and started their day at 4:15 AM. They traveled together to serve breakfast to the homeless at "Feed My People" in the First United Methodist Church in downtown Austin. The students were able to attend Mass at 6:30 AM at St. Mary's Cathedral after serving breakfast. 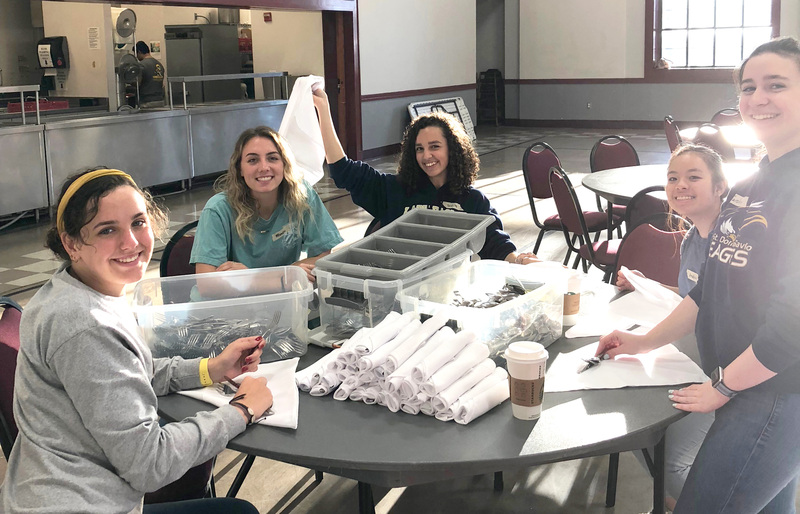 A group of students have committed to attend "Feed My People" every Thursday but, Christian Outreach decided to assist and extend their service to help with set up of the Foundation for the Homeless, the Spirit of Compassion fundraiser. For more information about the Foundation for the Homeless, "Feed My People' breakfast serving opportunity, read more about Feed My People here. 1. An active participant through conversations about faith, social justice, and practical application of living out the Word of God in our modern society. 2. Ponder their gifts and how they can be used to manifest the Kingdom of God in our daily lives based on the principles of faith, hope, and love. fulfill his or her responsibilities with excellence and as a service to Christ and His Church.